It is hard to earn money and spending it wisely is very important. 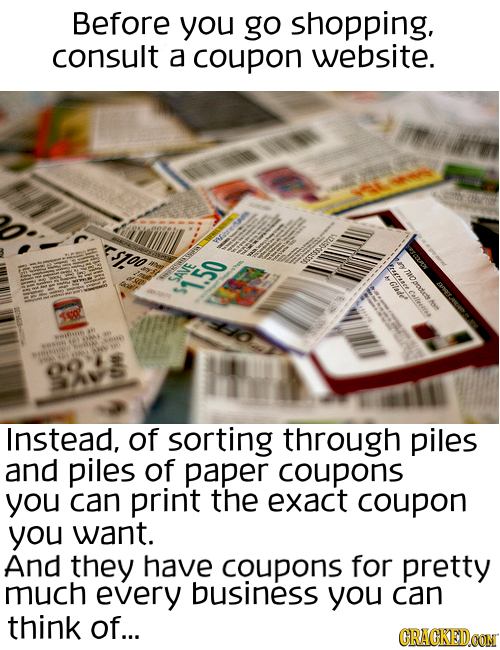 Here are the 20 amazing, genius life hacks that will save your money in many ways. 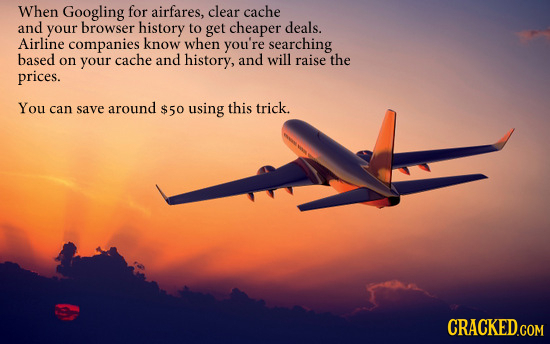 Just check them out and save money on daily tasks. 20. Avoid using credit cards. 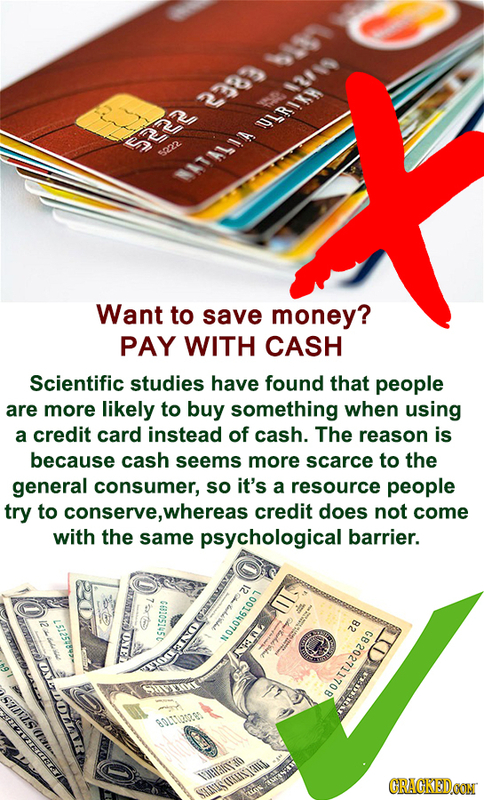 Scientifically you do not prefer to buy too much stuff when paying through cash. So try paying in cash rather than cards. 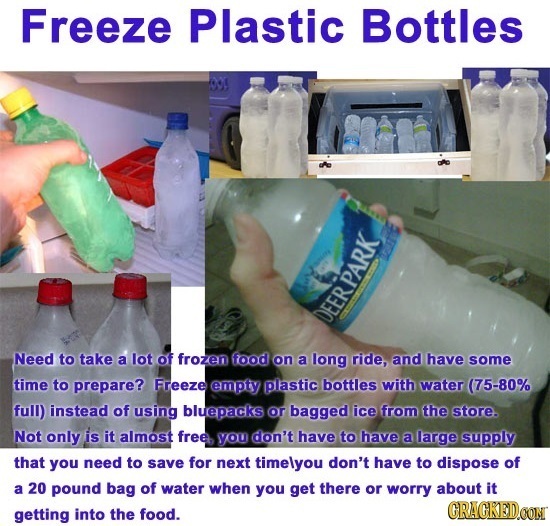 Freeze the plastic bottles with water instead of buying ice bags. This lifehack is really helpful specially if you are going for a ride and it also saves your money. 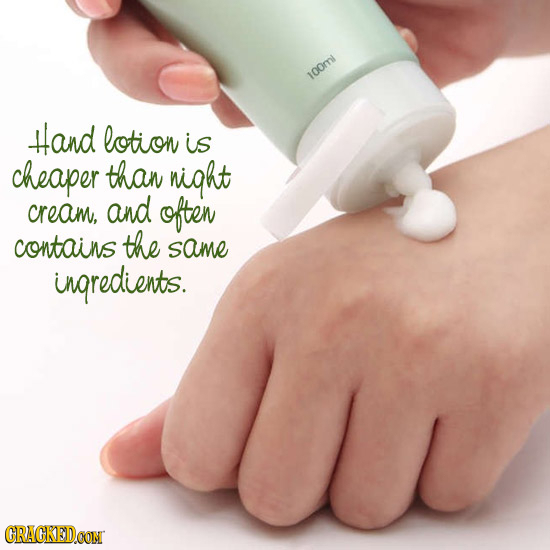 Don’t waste your money on buying night creams because the ingredients are often same as that of hand lotion. 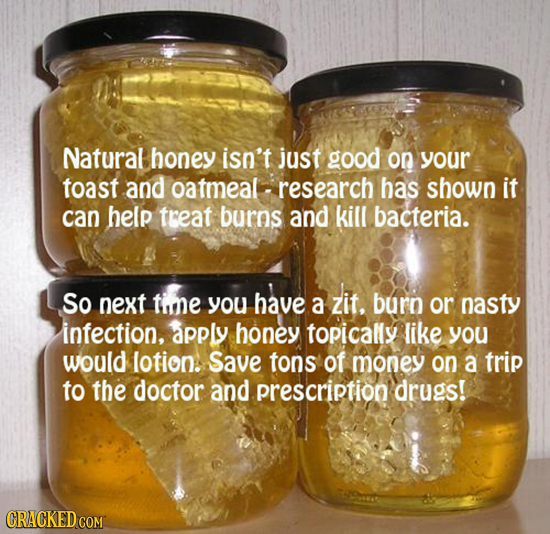 Natural honey works more than any doctors medicine as it is not only good in taste but it also helps to recover your infections. 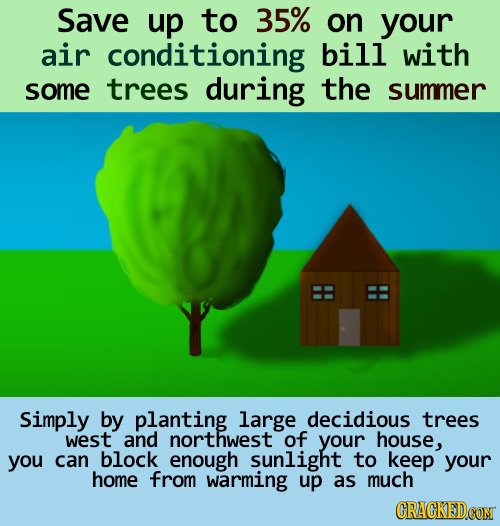 Lessen the burden of your bill by planting deciduous tree around your house which give a pleasant shade to your house and makes your house cooler. 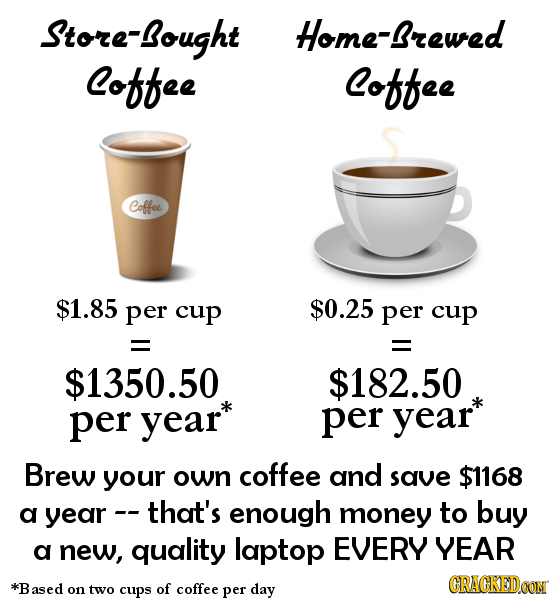 Preparing a coffee at home can make you save enough money to buy a good quality laptop every year. It’s a better offer,isn’t it ? Do not waste money on buying expensive toys for them because price does not matters for kids. All you need is toilet tube papers and some creativity. 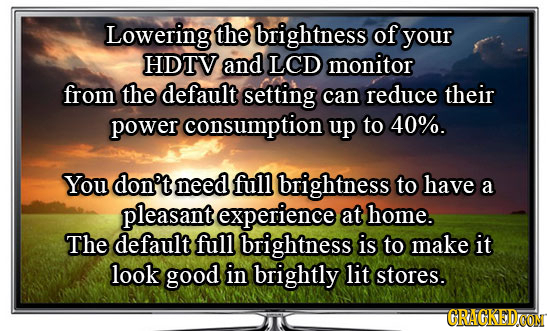 Lowering the brightness of your television reduces the power consumption up to 40%. 11. Don’t strip off your skin while shaving. 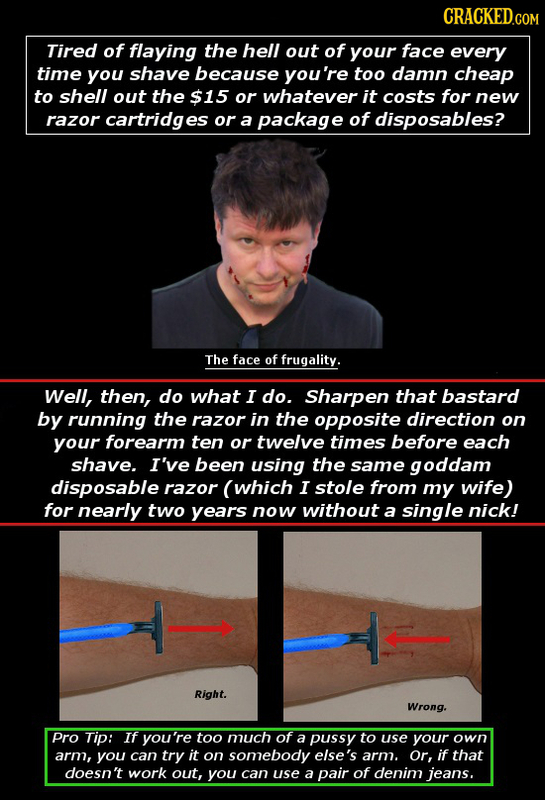 If you can’t buy yourself a new razor then sharpen it up by running it in an opposite direction of your jeans ten to twelve times. 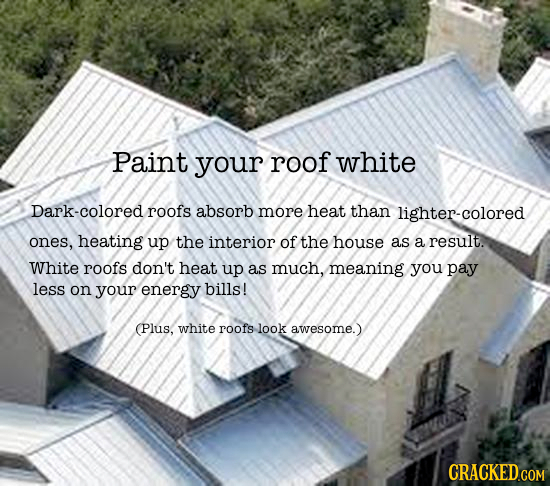 Paint your roofs in white color as light colors do not absorb heat as much as dark colors do. 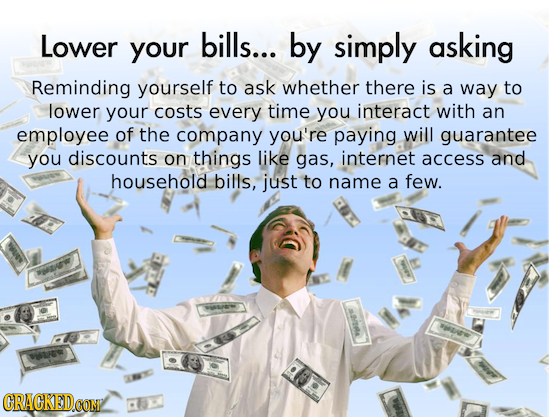 Save your money by paying less for your bills. Sweeper refill is not an issue any more. 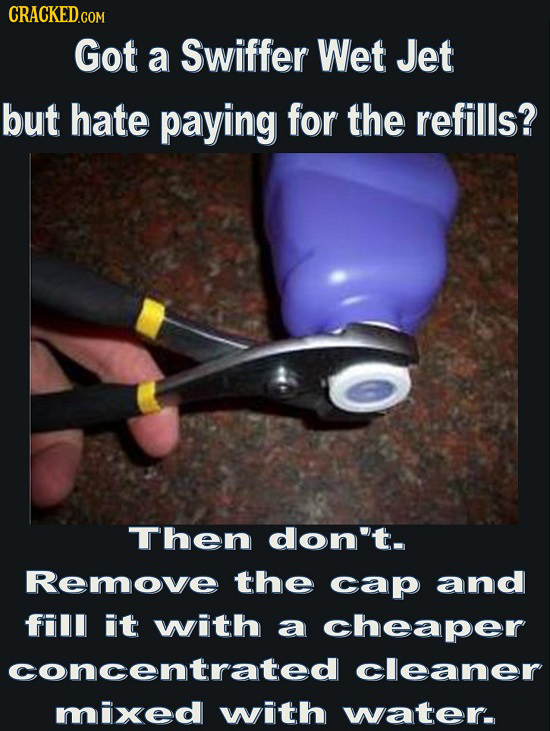 All you need to do is to remove the cap and re-fill it with the concentrated cleaner mixed with water, it is cheaper and saves your money. 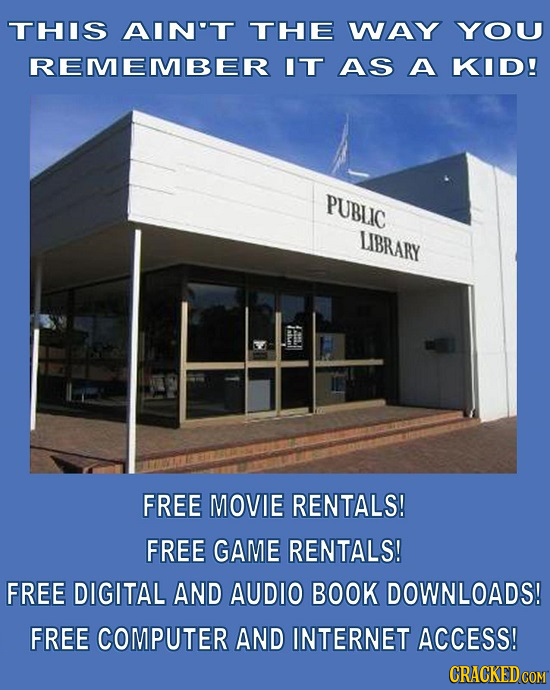 Save your money by using library’s internet, download what ever you want to and the best part it is for free. The image says it all. Just do check out the coupon website before going for a shopping and a get an exact print for it. This trick is amazing. 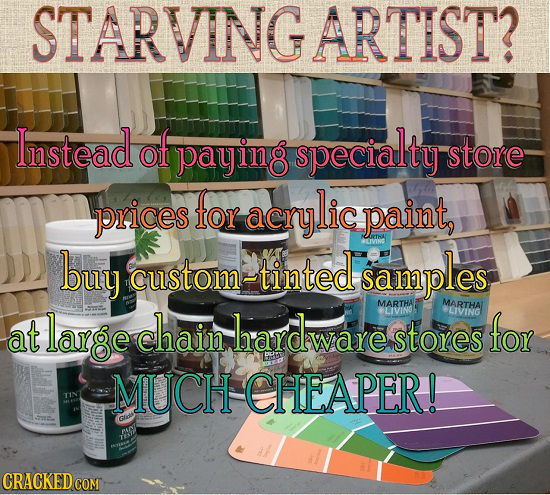 Buy Custom tinted paints rather than buying it from stores, It has great price difference and you’ll avail paints at much cheaper price. 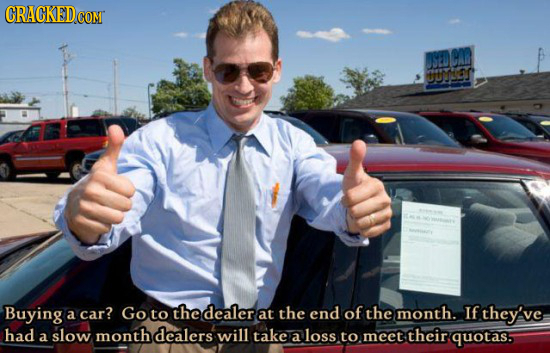 Dealers will take a loss to meet their quotas at the end of month this is why you should prefer buying cars at the end of the month. 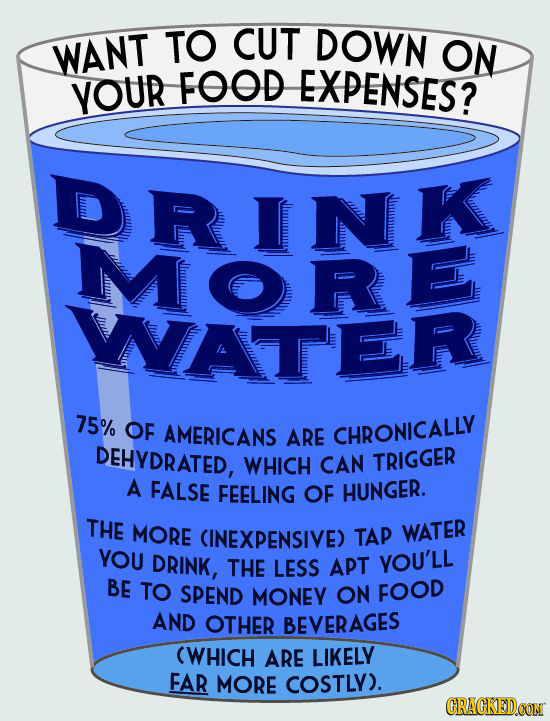 Increase your water intake, this will cut down your food expenses and it also saves your money. 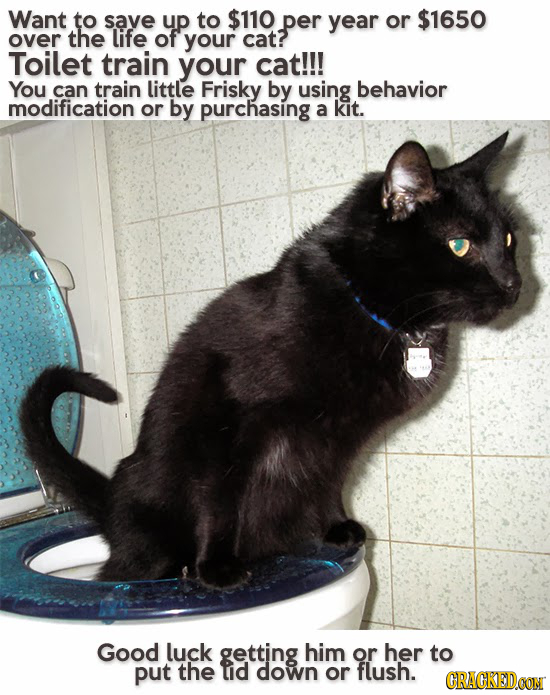 You do not need to waste your money on your cat, you can teach them toilet training by behavior modification technique that is give them a small demonstration daily and they will learn. The image says it all. 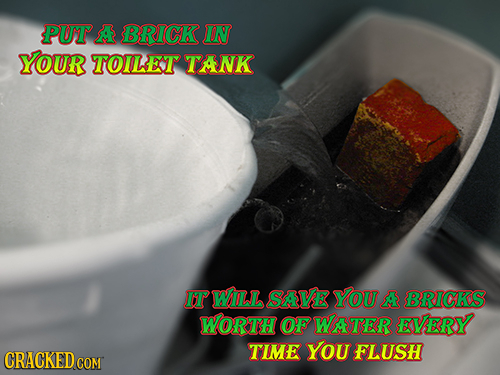 Put a brick in a flush tank and it will save water every time you flush.